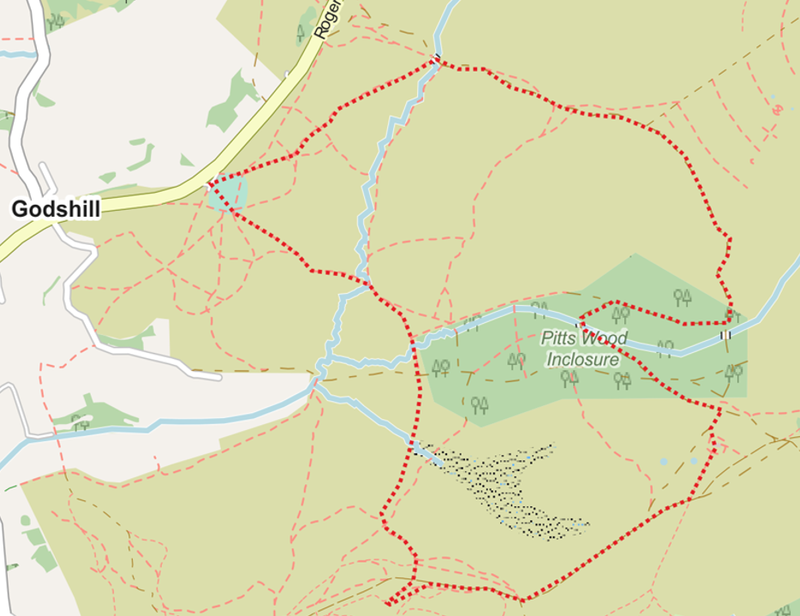 A 4.8 mile walk from Godshill cricket ground car park across to Hampton Ridge, visiting some of the relics from its time as a bombing range in the 1940s, and returning, with a wander through Pitts Wood, along Ashley Walk. It’s hard to believe now, but Ashley Walk was a bombing range in the 1940s. In fact, the largest bomb ever dropped on the British Isles fell just outside the south-east corner of Pitts Wood. 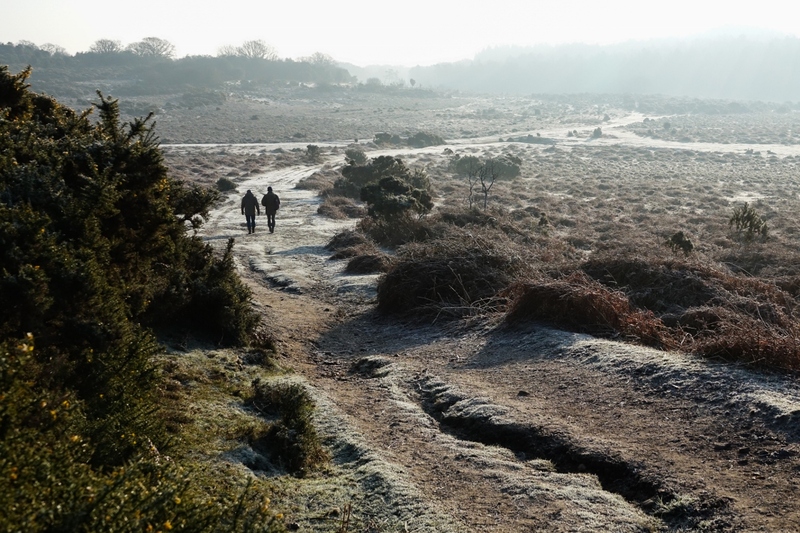 Now, it’s an area of remote heath where rare birds nest and ponies graze undisturbed. Godshill Cricket Ground Cross the cricket ground and take the track over to Pitts Wood. Pitts Wood Skirt around the western end of Pitts Wood and then take the track up towards the high point of Hampton Ridge. Hampton Ridge ascent Take a track contouring around to the left and follow this around, over the cycle track and to the concrete ‘arrow’. Target Marker Large concrete arrow showing the way to a bombing target. Hampton Ridge Return to the cycle track and follow it east for half a mile. Line Target Turn up the dead-straight line target (made to give the bombing crews practice at hitting railway lines) towards the ‘submarine pen’. Submarine Pen Buried under the mound is a concrete bombing target – considered too difficult to break up and remove. Pitts Wood Take the left track into Pitts Wood and follow it as it loops around back to the Ashley Walk track. Ashley Walk Turn left out of the wood and follow the track back towards the Ashley Walk car park. Ditchend Brook Turn left, just over the brook, and take the track back up to the car park.